Following decades of decline, the number of vehicles stolen in England and Wales rose by 19% in 2017, with over 91,000 incidents of reported theft. 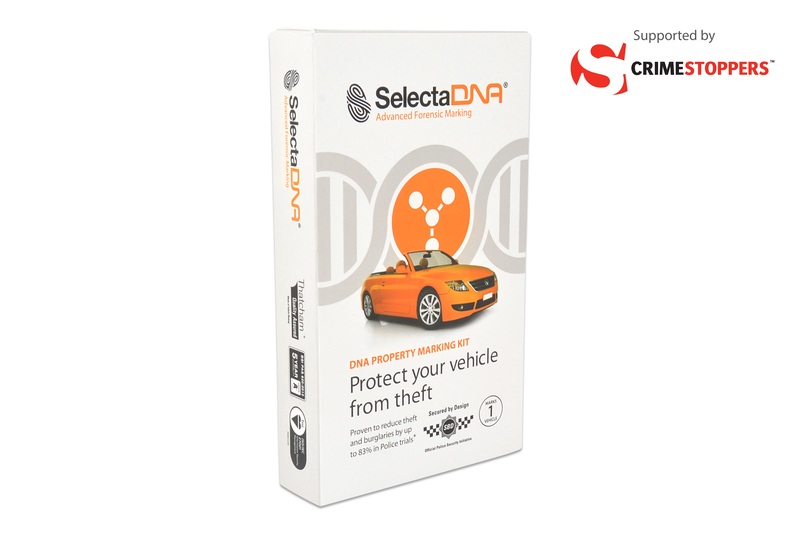 SelectaDNA Forensic Property Marking kits can be used to mark cars, 4x4s, motorbikes, scooters, quad bikes, commercial vehicles, vans, caravans and trailers. Used in conjunction with warning stickers it is an important first line of defence to warn criminals that SelectaDNA is being used. Please find below our range of kits available to purchase today. 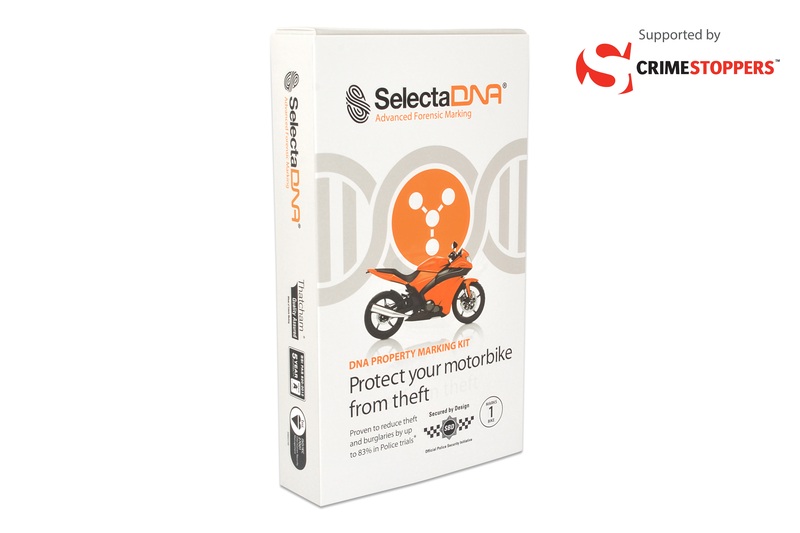 A police approved DNA Forensic Property Marking kit, with a Stencil Etching Kit, to mark a motorcycle, scooter or moped. Each kit marks and protects 1 bike and reduces the chance of theft. 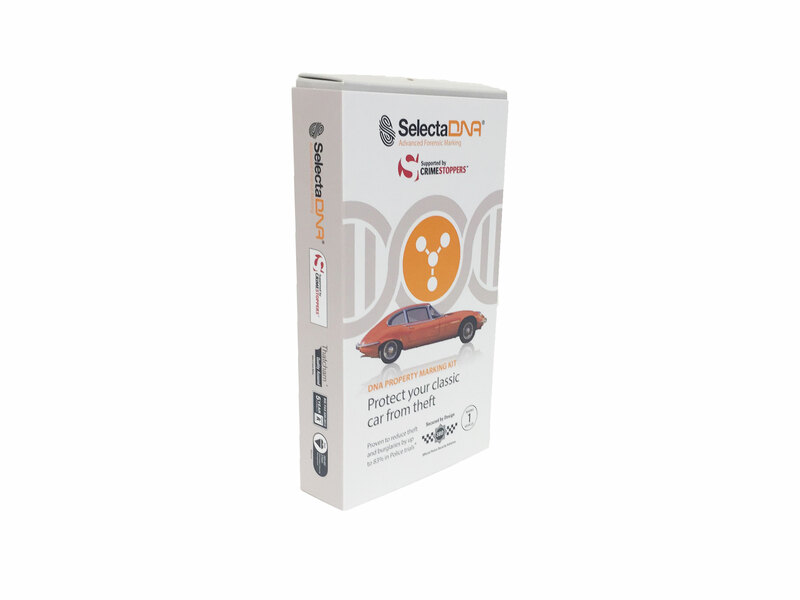 A DNA Forensic Property Marking kit to mark a classic car or race car. Each kit allows you to security mark one car and its parts and protect them from theft. A DNA Forensic Property Marking kit to mark all types of cars and commercial vehicles including 4x4s, vans and classic cars. SelectaDNA property marking is police approved and has been tested to the very highest industry standards, attaining PAS820 Grade A External and Thatcham Quality Assurance. 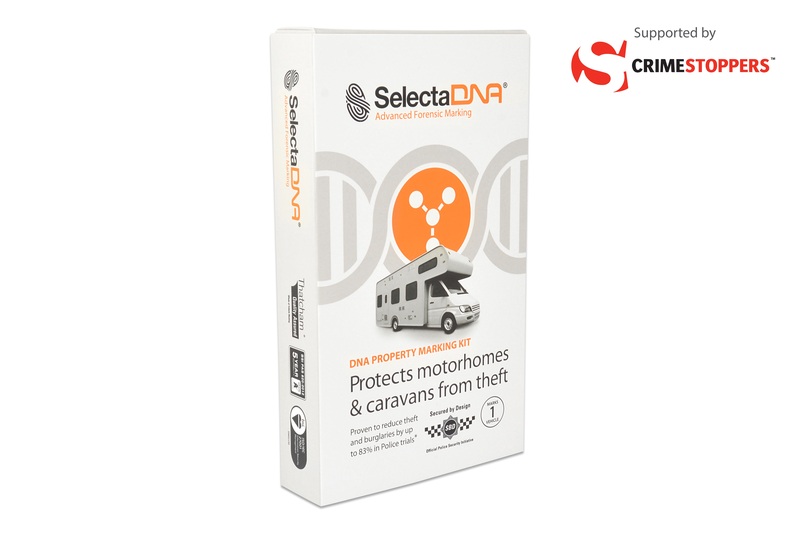 A police approved DNA Forensic Property Marking kit designed to security mark motorhomes and caravans. Each kit can be used to mark and protect 1 motorhome or caravan from theft. 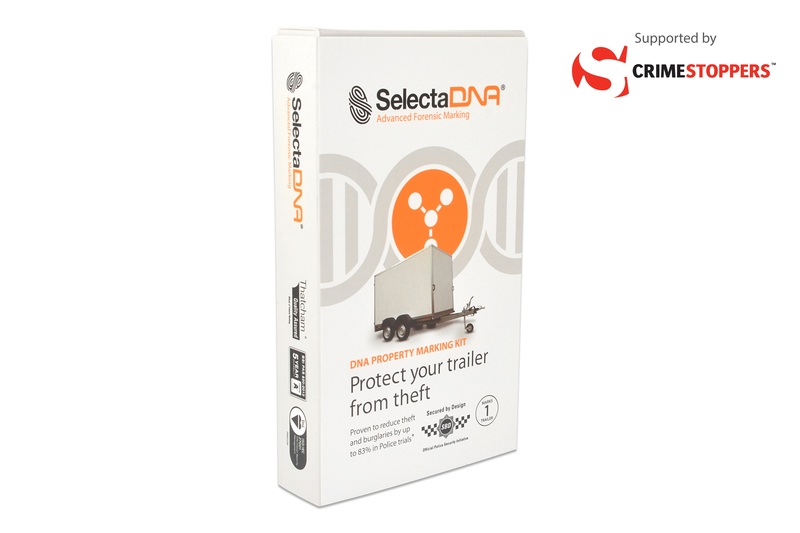 A DNA Forensic Property Marking kit to mark your trailer and protect it from being stolen. 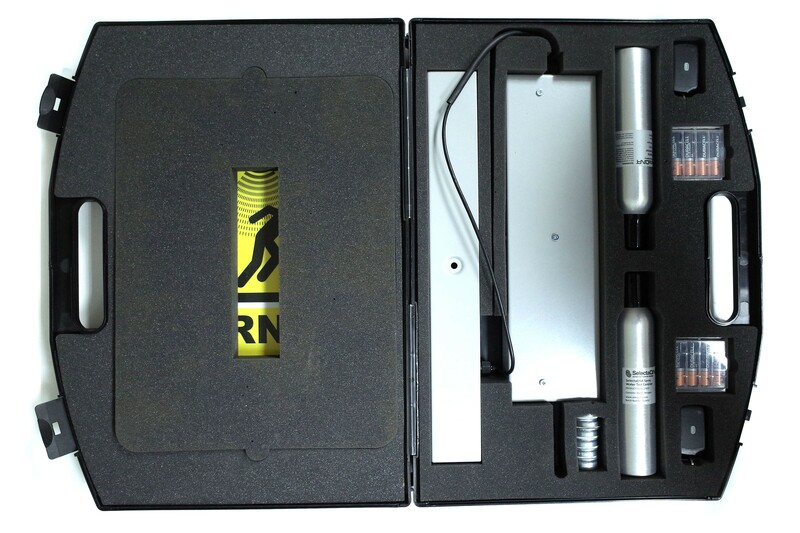 The police approved security marking kit contains a unique formula of DNA, UV tracer and microdots. 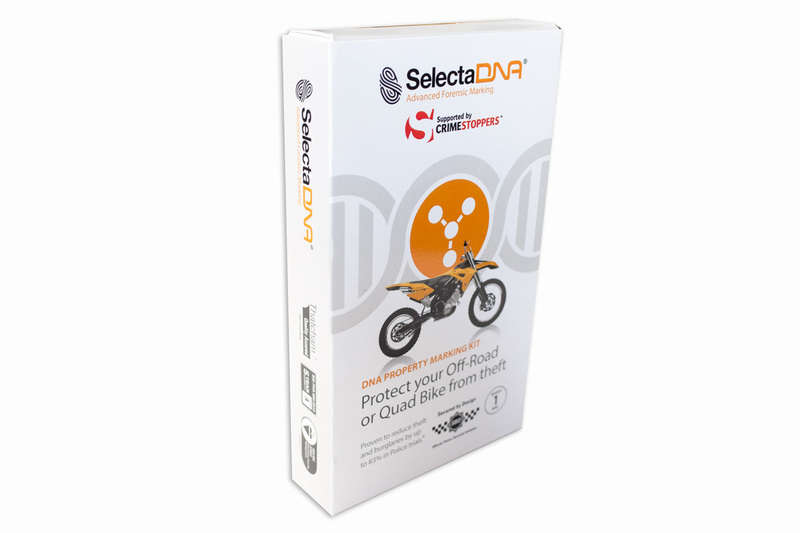 A DNA Forensic Property Marking Kit to mark all types of off-road bikes including quad bikes, motocross bikes, dirt bikes, trail bikes, grasstrack bikes, speedway bike and race and track bikes. Each kit marks and protects 1 bike from theft and provides registration and proof of ownership through a national police approved database. 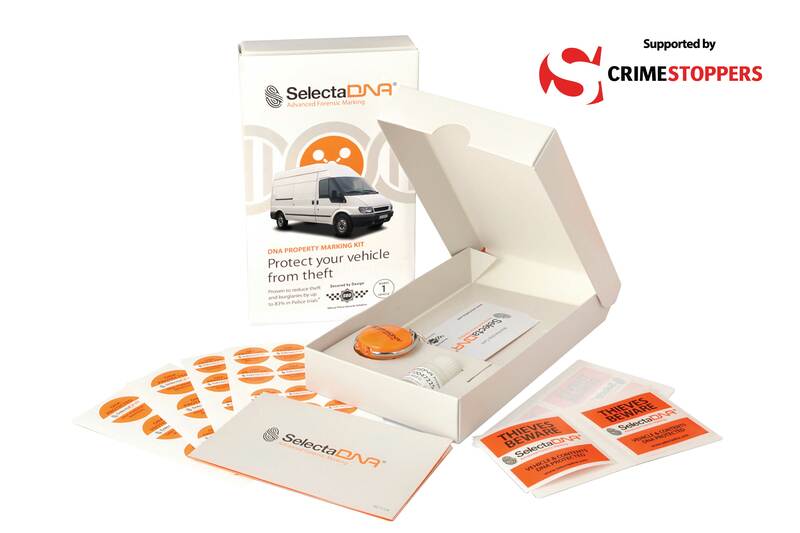 A DNA Forensic Property Marking kit, with window etching, to mark all types of vans and commercial vehicles. SelectaDNA has been tested to the very highest industry standards, attaining PAS820 Grade A External and Thatcham Quality Assurance. 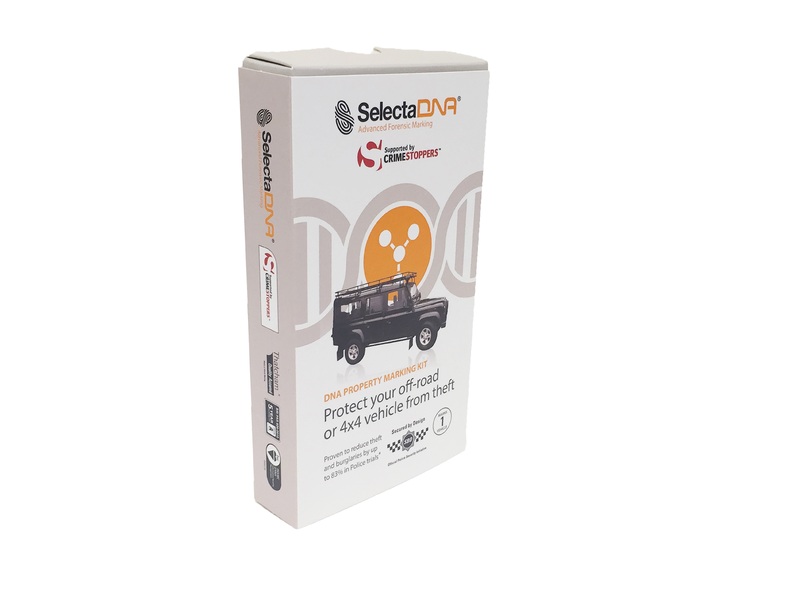 A DNA Forensic Property Marking kit, with window etching, to mark all types of off-road and 4x4 vehicles. SelectaDNA has been tested to the very highest industry standards, attaining PAS820 Grade A External and Thatcham Quality Assurance. The NEW SelectaDNA Portable Intruder Spray System is the ideal theft deterrent for cargo, high value goods in transit and tools and equipment in static containers on building sites. 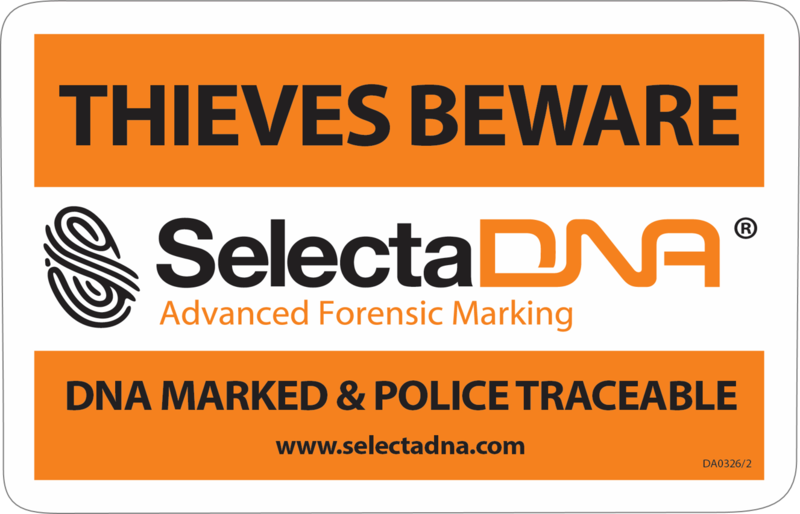 An important first line of defence to warn criminals that SelectaDNA is being used on property.